To be or not to be... Tomorrow and tomorrow and tomorrow... O for a Muse of Fire... The quality of mercy is not strained... This sceptred isle... Once more unto the breach dear friends... 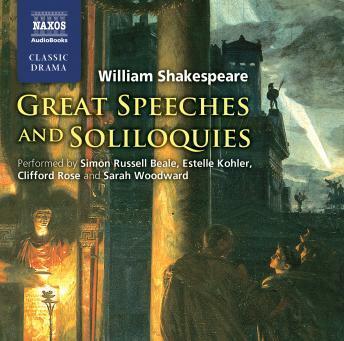 Many of Shakespeare's greatest and best-loved speeches are brought together in this superb collection, performed by outstanding artists who bring to vivid life words which are an integral part of our language, our culture and our everyday lives.